JPMorgan Chase has revealed that it is facing a criminal investigation by the Department of Justice over its foreign currency trades and controls. The largest U.S. bank by assets made the disclosure Monday in a regulatory filing. 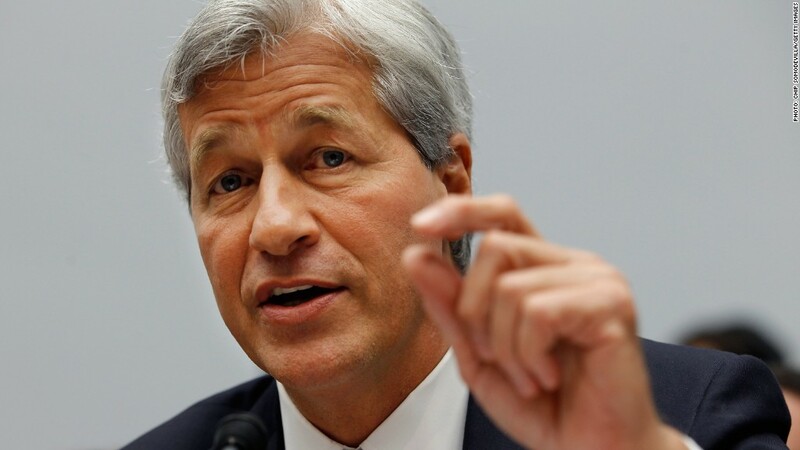 JPMorgan (JPM) said that other regulators, including the Commodity Futures Trading Commission and the U.K. Financial Conduct Authority, are pursuing civil investigations. The bank said it was cooperating with the regulators, and was engaged in active discussion with the DOJ. "There is no assurance that such discussions will result in settlements," the filing cautioned. The firm, led by CEO Jamie Dimon, also hiked one estimate of the possible costs of current legal proceedings against the bank to $5.9 billion. JPMorgan (JPM) is far from the only bank under investigation for possible foreign currency market abuse. Financial regulators have been looking into whether the banks sought to manipulate interest rates, with internal and external probes involving UBS (UBS), Deutsche Bank (DB), Barclays (BCS) and the Royal Bank of Scotland (RBS), among others. The disclosure from JPMorgan comes as U.S. officials turn up the heat on big banks. JPMorgan acknowledged the changing climate in the regulatory filing, saying that U.S. government officials have "emphasized their willingness to bring criminal actions against financial institutions" in recent months. "Such actions can have significant collateral consequences for a subject financial institution, including loss of customers and business and the inability to offer certain products or services or operate certain businesses for a period of time," the bank said.